The IBM PS/1 is a brand for a line of personal computers that marked IBM‘s return to the home market in 1990, five years after the IBM PCjr. 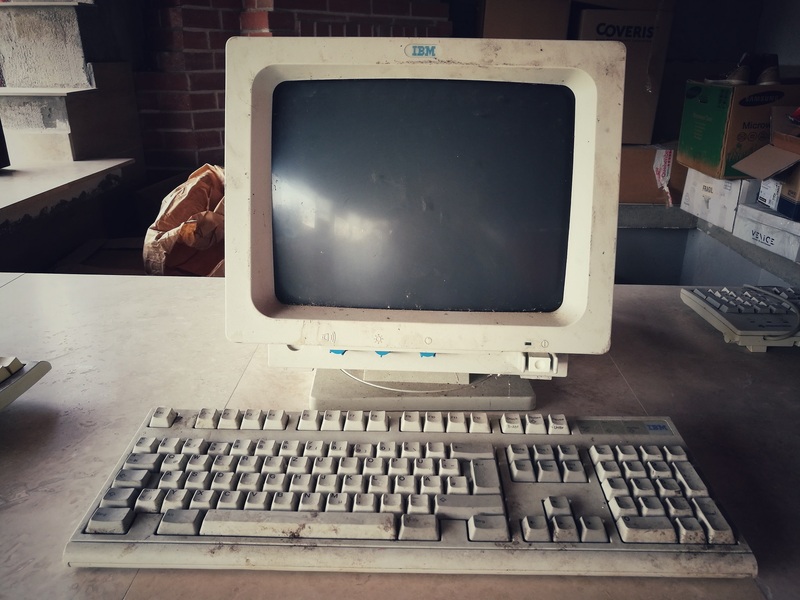 It was replaced by the IBM Aptiva in September 1994. The original PS/1 (Model 2011), based on a 10 MHz Intel 80286 CPU, was designed to be easy to set up and use. It featured 512 KB or 1 MB of memory, built-in modem (American models only) and an optional 30 MB hard disk. IBM also released a 5.25″ disk drive unit, a $169 ISA Adapter Card Unit (ACU)  to install third-party expansion cards, and a $995 CD-ROM drive, based on a Western Digital SCSI chip, that fit underneath the case. Some of the lower-end PS/1 models suffered from very limited expansion capabilities, since they lacked standard ISA expansion slots. 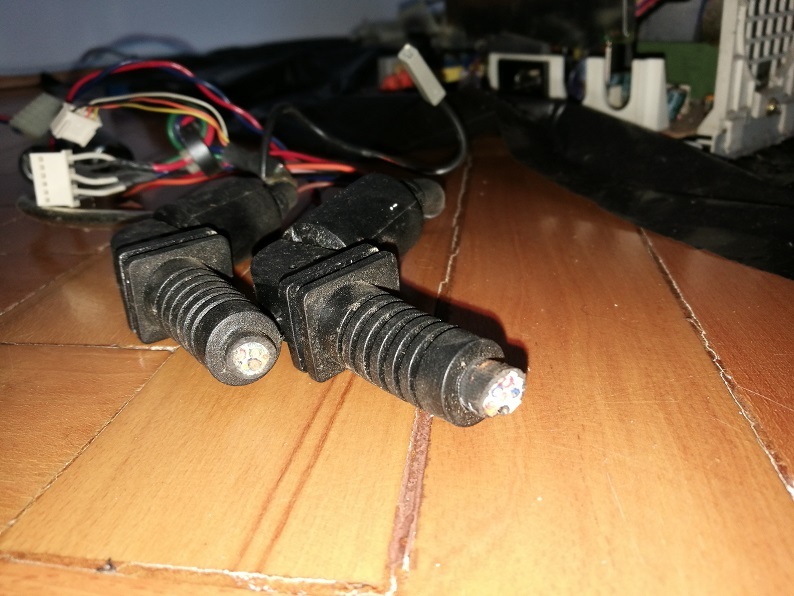 I got this computer from a friend that found it in a scrap yard in Satu Mare. The Monitor has the VGA and inlet cable cut and the keyboard as well. I will try to revive this beautiful machine at my best. 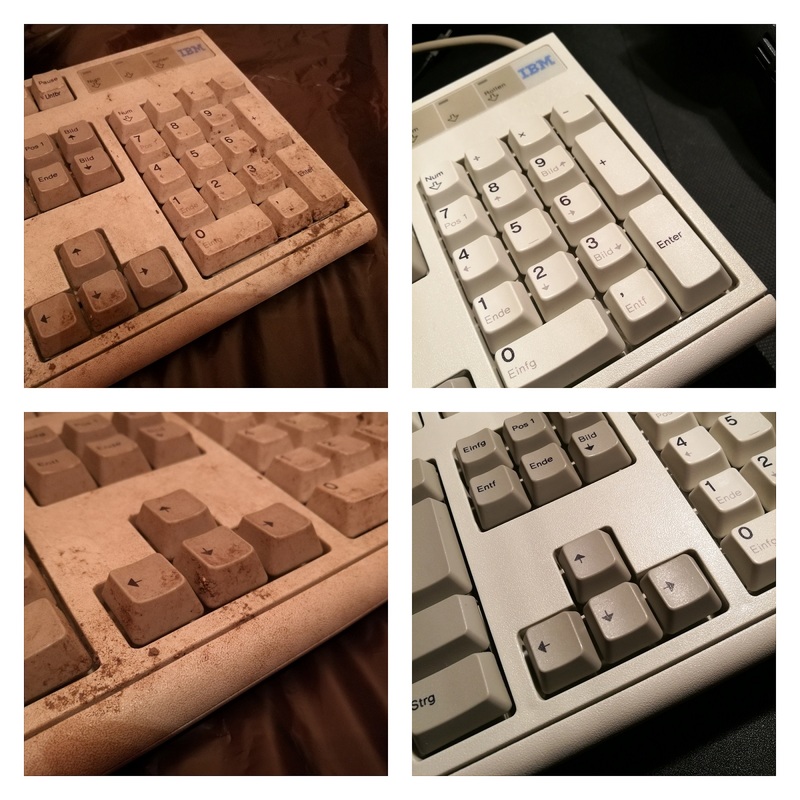 So far I was able to clean the keyboard and change the PS2 cable. Also this is how the new connector and cable looks like. Important: Must replace the capacitor, this keyboards are known for the start-up issue because of the leaking capacitor! This monitor had better days, as you can see below the wires had been cut in order to melt for copper. 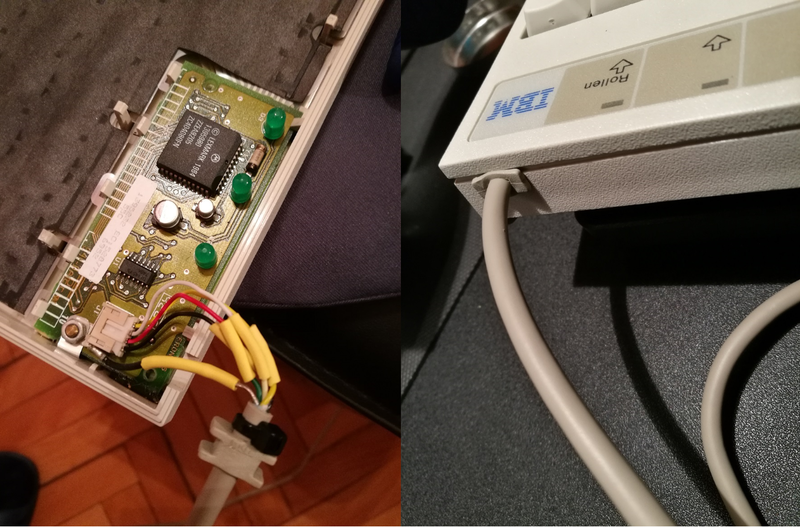 I found both the VGA and Power Supply pin-outs. (NOT AN EASY TASK). I am willing to share via email if any interest.